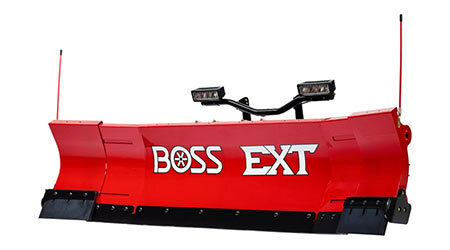 Standing 30 inches high and equipped with nine vertical ribs, the EXT extends from an 8-foot width to a 10-foot width. The forward-pitched scooping wings remain in place while the plow is fully expanded to 10 feet. The extendable plow features a fully enclosed hydraulic system and a chainless lift system for less bounce, wear and tear. The EXT also features the SL3 lighting system.